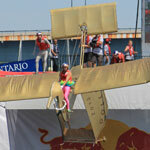 On July 27, I attended a very colourful and imaginative event. 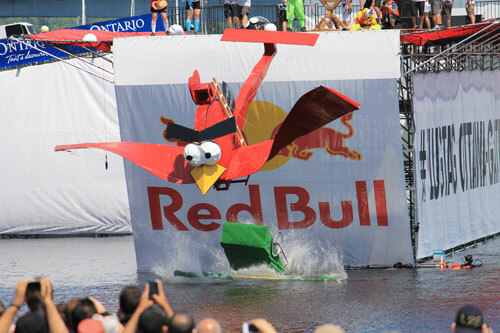 Flugtag 2013 took place behind the Museum of Civilization in Gatineau, across the river from the Parliament Building in Ottawa. 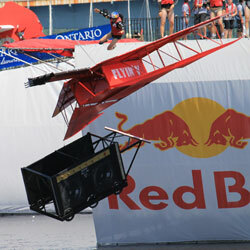 Flugtag is a competition where the contestants build a flying machine that a brave team pushes off a launching pad located 22 foot above the Ottawa River, in the hope it will fly. 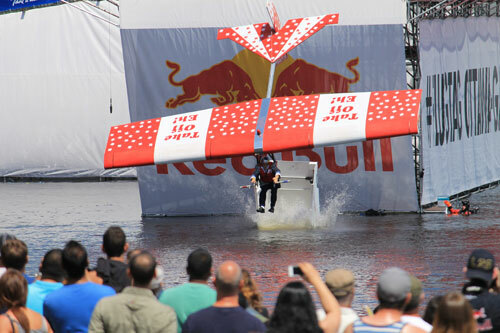 The participants in this challenge must use all their creativity to get their crafts to fly as far as possible. Watch creativity in action!